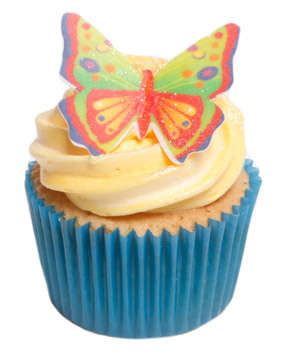 12 stunning edible butterflies in 5 striking bright designs- these look gorgeous on big and small cakes. 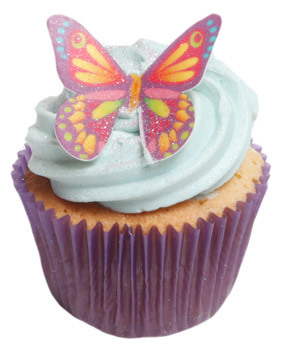 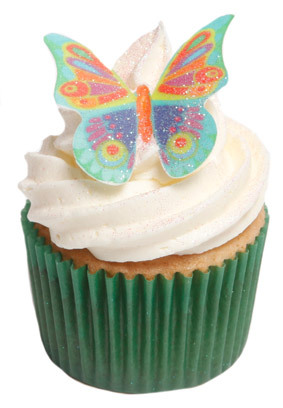 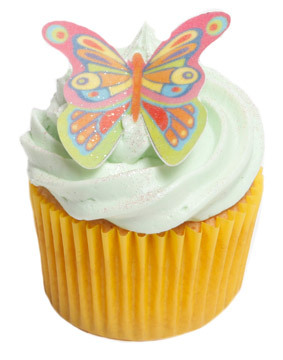 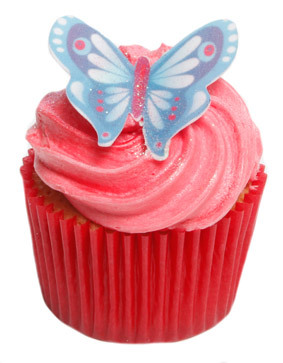 These butterflies are flying off our Holly Cupcakes shelves and onto cupcakes everywhere! 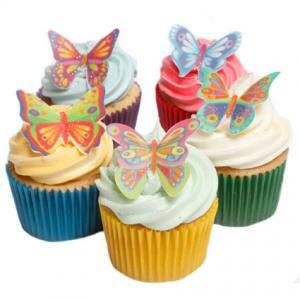 They are 5cm wide and sit perfectly on little cakes, chocolates, biscuits and arond the edges of larger cakes. If you are careful with these cute decorations you can bend the wings so the butterflies look like they are just about to fly off!